Above all, this system is suitable for deep installation including doglegged and horizontal bore holes. A remarkable feature of this conveying system is that no rods are required and, thus, wear on the tubing is dramatically reduced. We convey your medium to where you need it! 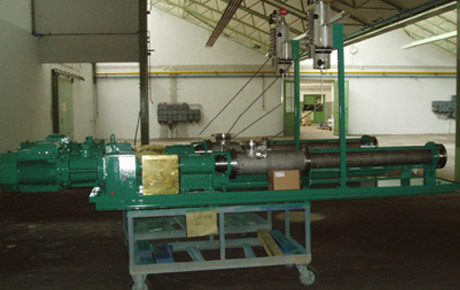 NETZSCH PUMPS® for downstream applications are very versatile due to the large assortment of construction materials and sealing systems that we offer. 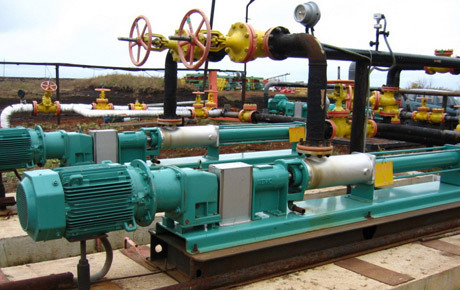 With these pumps, the viscosity and composition of your crude oil are never an issue. The optimal solution to your task can always be found from among many construction materials and conveyance geometries. 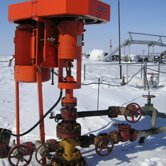 We offer both high-pressure and low-pressure pumps for conveying crude oil to its destination. Heated versions of our pumps are also available if necessary, allowing round-the-clock operation even at sub-freezing temperatures. 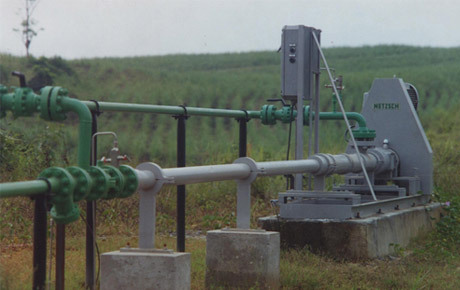 Multiphase Pump was specially developed for conveying oil/gas/water mixtures. This pump provides dependable operation even at a gas proportion of 100%. Crude oil must often be pressed out of the rock. This necessitates the use of pumps which are capable of maintaining high conveying pressure at the best degrees of efficiency.